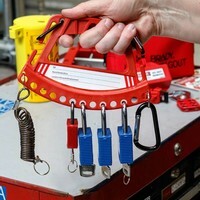 an be easily attached to belt clips. 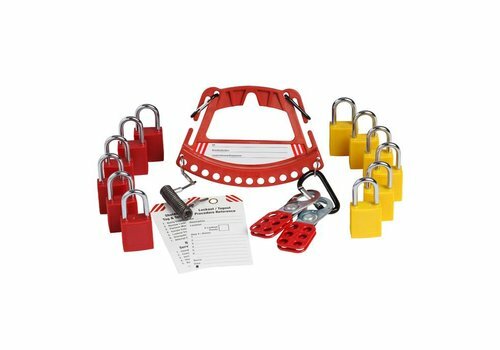 Labels in English, Spanish and French included. 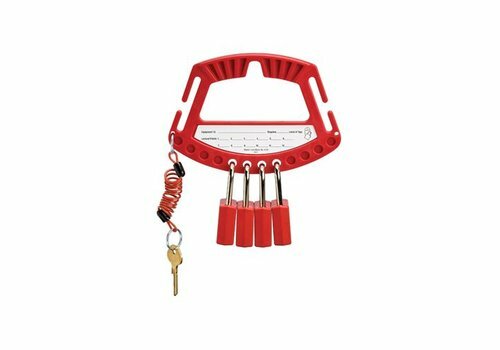 Includes carabiners and coiled key strap for holding tags, hasps and padlock keys. 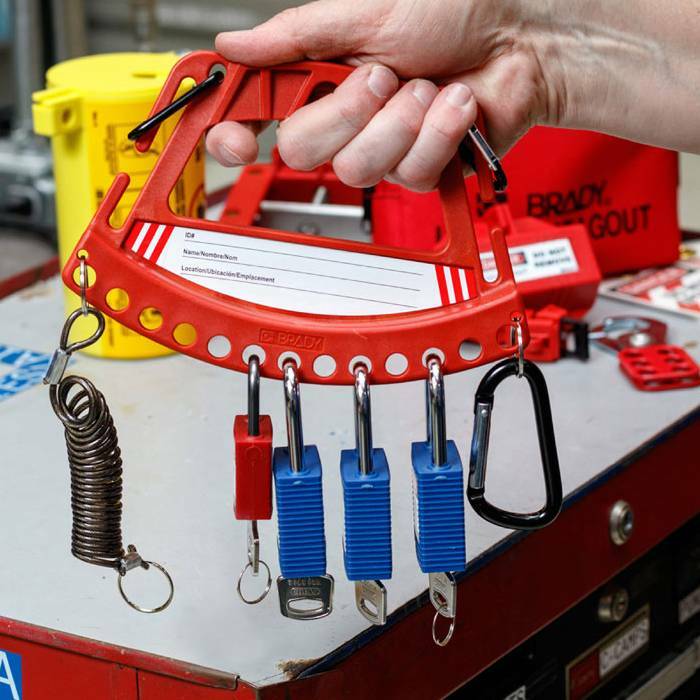 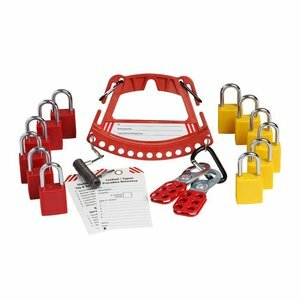 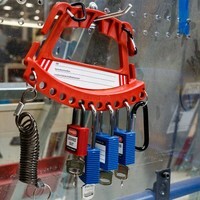 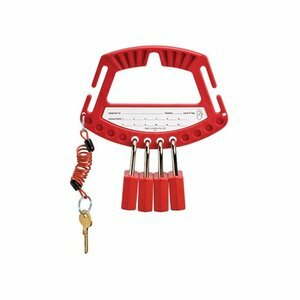 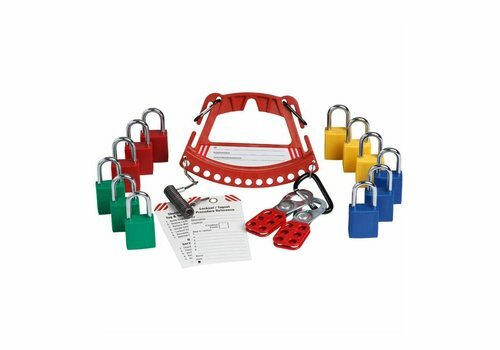 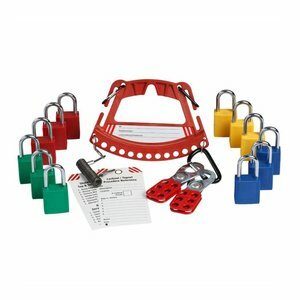 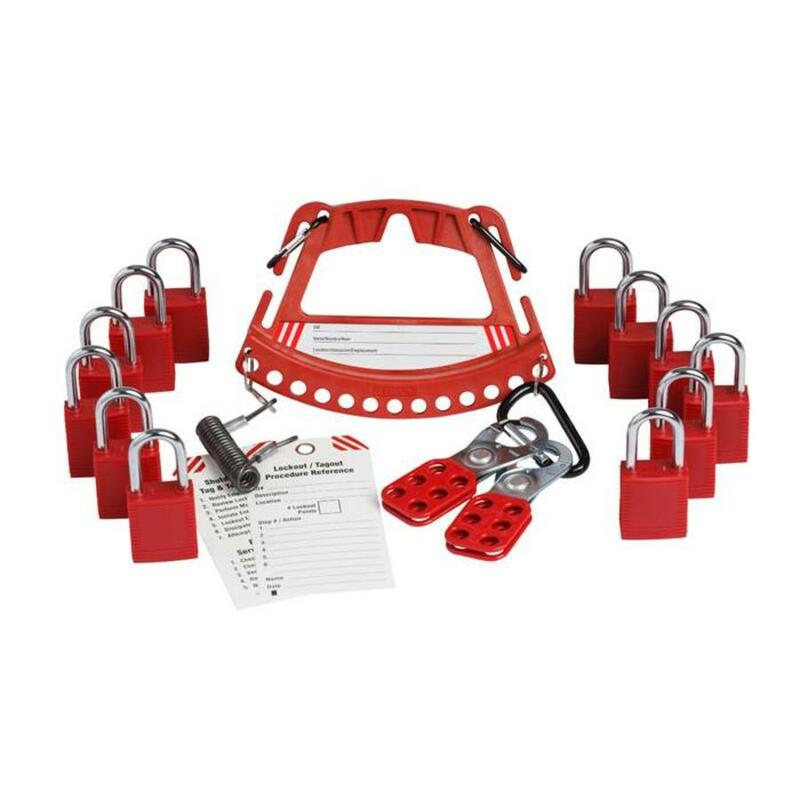 Padlock caddy for lockout-tagout applications.